The Philadelphia Eagles made history heading into Saturday’s divisional round game against the Atlanta Falcons. Even though they had the best record in the NFC during the regular season and were the home team, they were the underdog. They were the No. 1 seed in the conference and were the underdog to the No. 6 seed. But the slight appeared to be exactly what the Eagles needed. Rather than play down to expectations, they appeared determined to prove the doubters and the oddsmakers wrong—and they did. The reason for the lack of faith in the Eagles was not hard to figure out. Nick Foles had not played extremely well in relief of Carson Wentz. No matter how good the defense played, if the offense couldn’t score, the team was in trouble. While head coach Doug Pederson had publicly supported Foles on several occasions, according to NFL insider Ian Rappaport, they were willing to pull him if need be during Saturday’s game. Foles didn’t do much in the first half, but he wasn’t the main problem. Turnovers were. The Eagles put four balls on the ground, losing two. The two lost fumbles led to ten points for the Falcons. A botched hand-off early in the second quarter led to another fumble. But an alert-Foles scooped the ball up and dove for the end zone. It was initially ruled a touchdown, but the call was overturned upon review. LeGarrette Blount ended up doing the honors on the next play to give the Eagles a 6-3 lead (the extra point was missed). The Eagles ended up benefitting off what was almost a Nick Foles interception late in the second quarter. But the ball bounced off the knee of the Falcons defender and into the hands of Torrey Smith for a 20-yard gain. The play helped set up a 53-yard field goal attempt by Jake Elliot that cut the deficit to one point, 10-9, at the half. 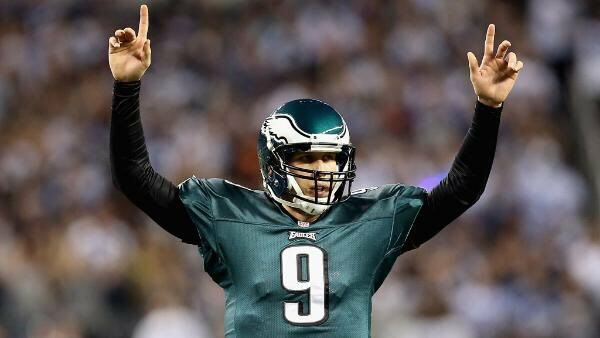 Foles ended up picking up his game in the second half and led the team on two long drives that ended with field goals. But a five-point lead meant the Falcons just needed to get in the end zone to take the lead. While the Eagles defense had succeeded in limiting the Falcons on offense for most of the game, Ryan was able to get them moving when he needed to most late in the fourth quarter. But on fourth and goal from the two-yard line, Julio Jones slipped. He was able to get back up as Matt Ryan rolled out, but Ryan’s throw ended up being a little too high for his star receiver. Final score—Eagles 15 Falcons 10. All the concern over Foles ended up being for nothing, partly because he played well and partly because of the play calling. Most of his 30 pass attempts (he completed 23 for 246 yards) were safe, low-risk throws. While they kept the ball moving and helped build confidence for Foles, the biggest benefit was on the clock. When combined with their running game, they kept the clock moving. Philadelphia ended up with a 4:06 advantage in time of possession. They’ll need to do the same next week against the winner of Sunday’s NFC Divisional Round game, either the New Orleans Saints or Minnesota Vikings. 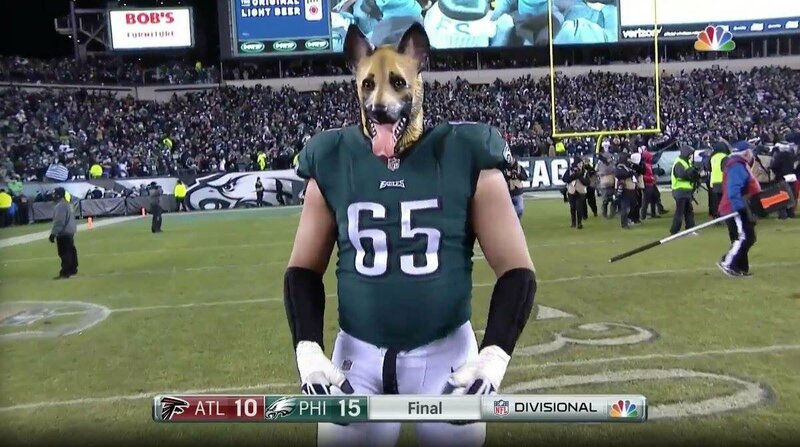 Despite how Foles played, it will not be surprising if the Eagles end up being underdogs again next week.